Gujarat Bans Sanjay Leela Bhansali's Padmavati? Home BOLLYWOOD Gujarat Bans Sanjay Leela Bhansali’s Padmavati? Gujarat Bans Sanjay Leela Bhansali’s Padmavati? Sanjay Leela Bhansali’s Padmavati starring Ranveer Singh, Deepika Padukone and Shahid Kapoor has fallen into the biggest controversies of the year. Sanjay Leela Bhansali‘s ‘Padmavati’ starring Ranveer Singh, Deepika Padukone and Shahid Kapoor is slowly facing ban in some states of the country. The film may not see the light of day in some states and this has disappointed many from the industry. As earlier we revealed, the film has been already banned in Madhya Pradesh and Punjab. Sorts of reports also suggest that J&K and Maharashtra minister has also demanded a ban on the movie. However, nothing has been made official yet. Read here Maharashtra Minister Demands Ban On Sanjay Leela Bhansali’s Padmavati! Now in a shocking turn of events, the Gujarat government has banned the release of Sanjay Leela Bhansali’s ‘Padmavati’. We are shocked as well! Chief Minister Vijay Rupani is claiming that the film is hurting sentiments of the Rajput community. ”In exercise of the powers conferred by sub-section (1) of the section 6 of the Gujarat Cinemas (Regulation) Act, 2004, the government of Gujarat hereby imposes ban on Hindi feature film Padmavati produced by Viacom18 Motion Pictures and Bhansali Productions Pvt Ltd within the jurisdiction of the state of Gujarat,” a notification by the information and broadcasting department of the state read. Meanwhile, Deepika Padukone‘s parents’ home in Bengaluru gets police protection following the protests and life threat that the actress has been getting. 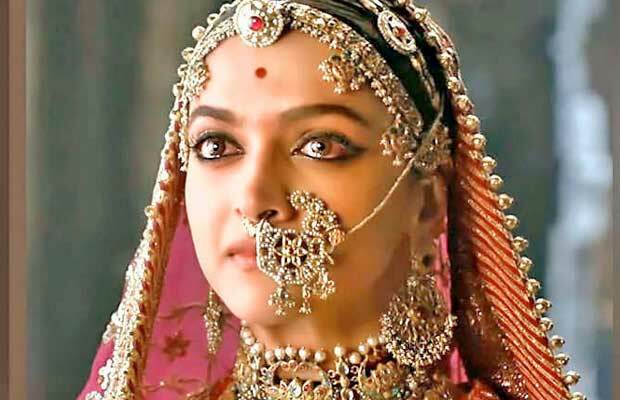 Talking about the release date, the makers of ‘Padmavati’ willingly deferred the release date of the film. Earlier, the film was releasing on December 1. Previous articlePhotos: Sagarika Ghatge Gets Married To Zaheer Khan And They Look Adorable Together!